Tours are on a call to book basis. 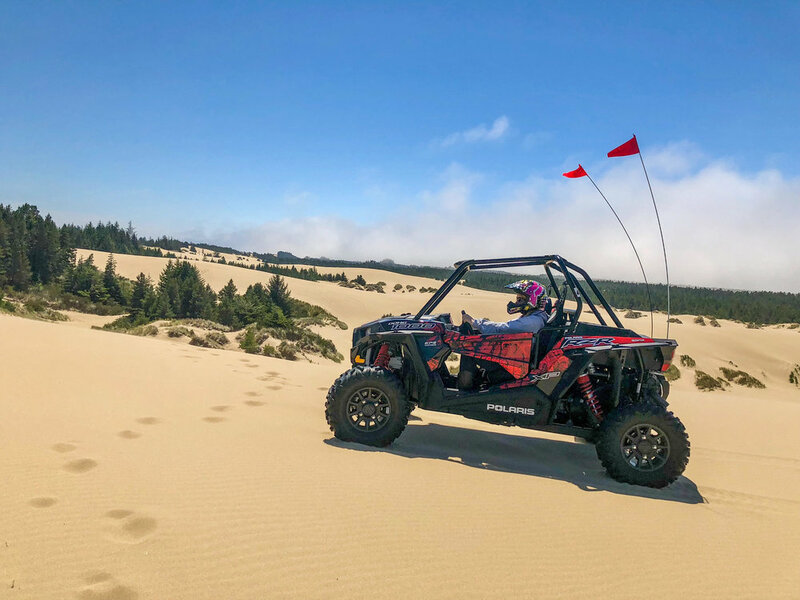 When renting a dune buggy or ATV from Spinreel, we focus on safety by having all vehicle operators watch a safety video, go over the riding area map, and go through a vehicle orientation to make sure that all drivers and riders are comfortable with the vehicle operation. Helmets are provided with every rental and are required to be worn by everyone operating or riding in any vehicle. 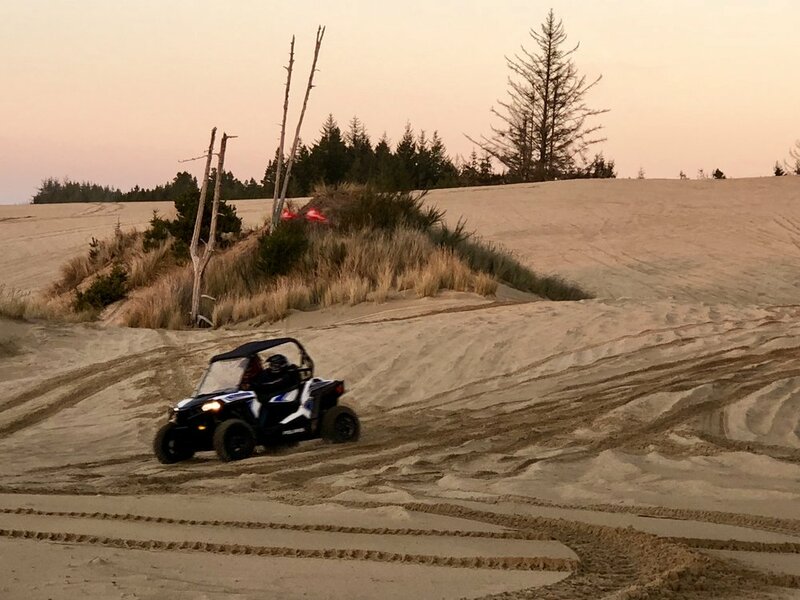 Your time does not start until the Spinreel staff member releases you to leave..
We recommend making reservations for rental vehicles at our opening time (June–August at 9:00am and September–May at 10:00am). Tour reservations can be taken for any time the tour is offered provided there is space available. We recommend making reservations at least one week (7 days) in advance, but any reservation will be taken based on availability. 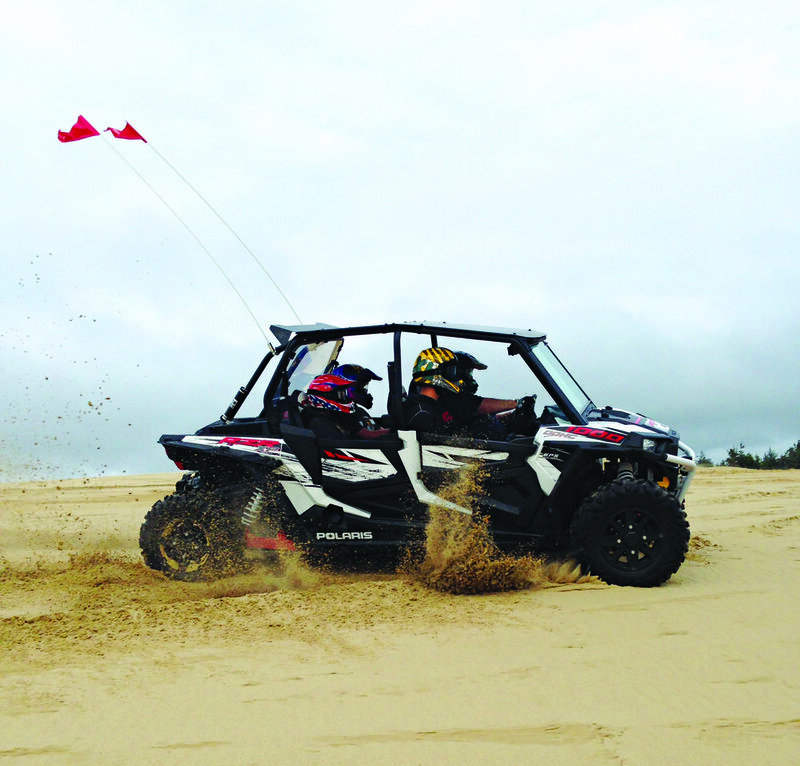 All rental vehicles and tours are on a first come, first served basis unless a reservation has been made. Reservations are gladly taken with a full deposit. Deposits are non-refundable without a 24 hour notice of cancellation. 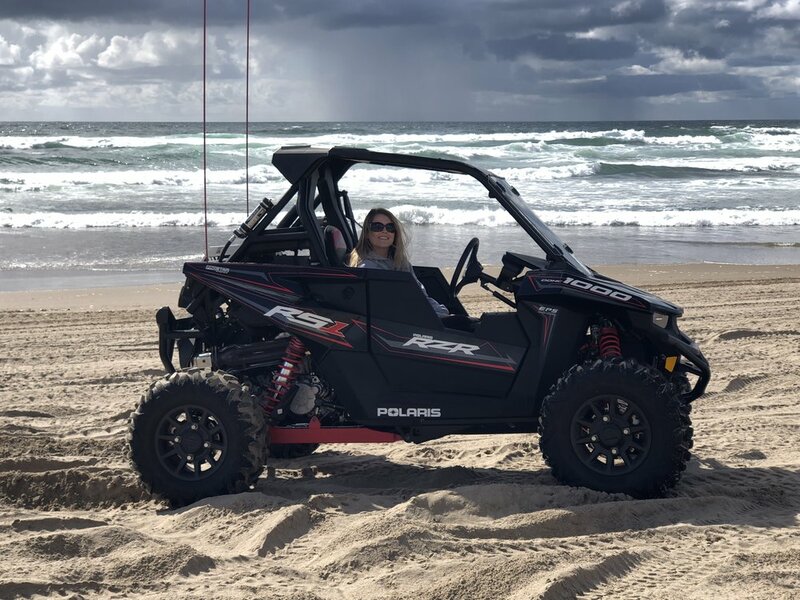 BEACH DRIVING: It is required to have a 2 hour rental to be able to drive on the beach. The beach during the year can be closed to vehicles due to weather, tides or flooding. This can change at any time without notice. 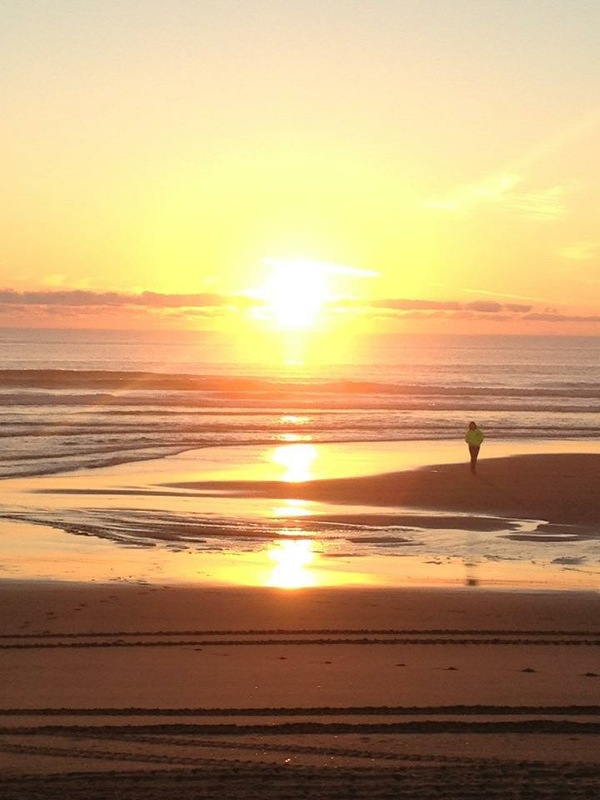 We are located just north of North Bend/Coos Bay off of highway 101 on Spinreel Road. Travel approximately 9 miles north of the North Bend/Coos Bay Bridge. Watch for the blue Spinreel ATV highway signs located on the side of the highway between milepost marker 224 and 225. Turn left on Spinreel Road and travel down about a quarter mile. We are the first stop on the right. Travel approximately 12 miles south of Reedsport. Watch for the blue Spinreel highway signs located on the side of the highway between milepost marker 224 and 225 . Turn right on Spinreel Road and travel down about a quarter mile. We are the first stop on the right.